Today's projets (plans) included one of Paris' "newer" sites, new being a relative term, of course. Having been constructed in the 1880s, Sacré Coeur is indeed centuries younger than most popular destinations in the City of Light. And standing almost 400 feet above sea level, glimpses of the white basilica had been peeking above many of our other stops all week. So we were very excited to head up to the 18th arrondissement and finally visit Sacré Coeuron this, our last day, in Paris. ... than we witnessed a man being mugged by 4 types (guys), while being surrounded by another maybe 6 or so of their gang. Done and done! We were so out of there! 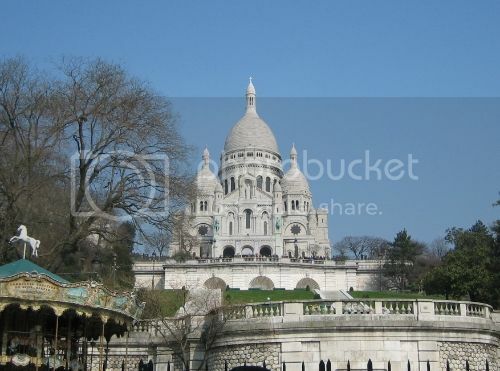 There is nothing interesting enough about Sacré Coeur to make me drag Mag through that mess, or myself for that matter. We high-tailed it back to le métro, and suddenly found ourselves with a few free hours. 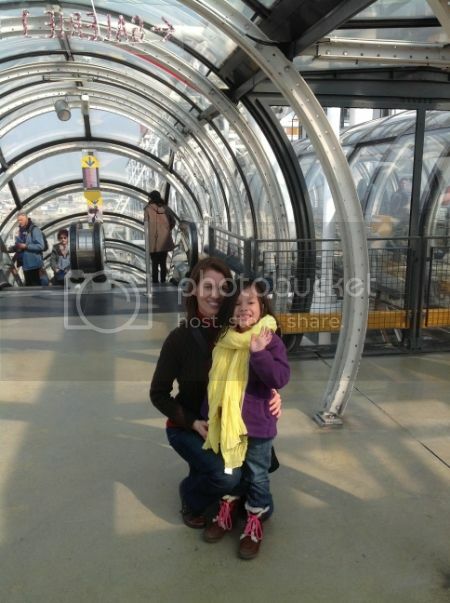 We decided to head back to le Centre Pompidou, as it had been Mag's favorite spot of the week, besides Disneyland, of course. At 6 euro for the 3 of us to ascend, and a much shorter line than our first visit, it was a great - and safe! - impromptu morning. After Pompidou, we swung over to the 6th arrondissement to see the 17th century Jardin Luxembourg, which Parisians affectionately call "le Luco." 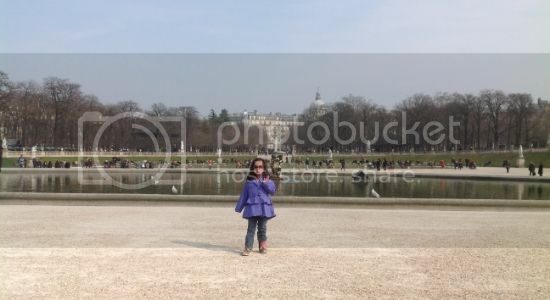 I believe, along with le Jardin de Tuileries, that le Luco is one of the parks in which you see children floating sailboats in the fountains. (You've seen that in photos, n'est pas?) Well, we were either at the wrong fountain, or the boats are only available in warmer weather. In either case, Mag was sad to miss it. But we stopped at le Quick, France's fast food joint, after le Luco, and then picked up some famous macaroons at Dalloyau, so no one was sad for too long. ... and our quartier, which we decided will probably be our home base again the next time we're fortunate enough to visit Paris again. And demain (tomorrow), off to Deutschland (Germany). 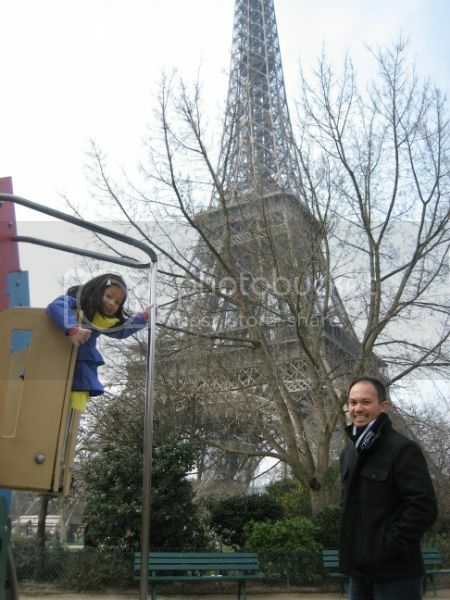 Enfin...Je Monte la Tour Eiffel! Finally... 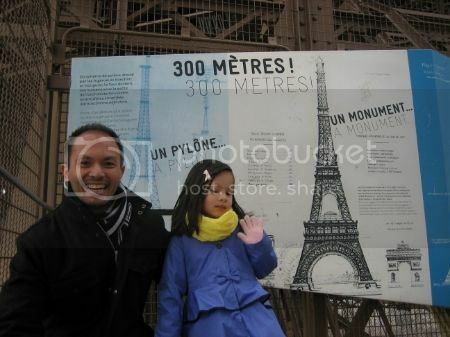 I ascend the Eiffel Tower! So today, almost 2 decades since my first visit to Paris, with several subsequent attempts, I finally ascended the elusive Tour Eiffel! That's not to say the weather cooperated this time... in fact, it actually started snowing while we were on our way to La Tour. But from sheer determination to finally do it, and great enthusiasm from Kam and Mag, we ignored the snow and pushed forward, or upward, as it were. Fortunately, the snow did not last, and some of our photos even show a hint of sunshine peeking through. I should say for the record that we didn't get all the way to the top, as we decided against the "lift tickets" in favor of the stairs. The stairs do get you to an impressive height of 377 feet, though, so I don't think we missed too much. And climbing those 1,665 stairs was a great way to earn a dessert crêpe! Sparkling lights : 20,000 bulbs (5,000 on each side) glitter for 5 minutes every hour on the hour, from nightfall until 1 a.m. Number of lifts : From the ground floor up to the 2nd floor: 5. From the 2nd floor up to the top: 2 sets of 2 Duo-lifts. Kilometers traveled by the lift : The combined distance traveled of the lift cabins is 103,000 km a year (2.5 times the circumference of the Earth). Need a FREE Eiffel Tower coloring page? Crayola has a cute one here. 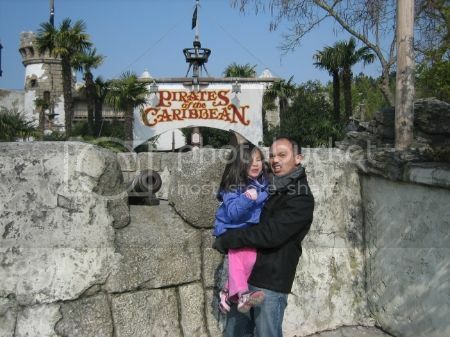 Once upon a time, a long time ago, in a land far, far away, I had the opportunity to visit a newly opened, up-and-coming little theme park just outside of Paris. Il s'appelait "EuroDisney." 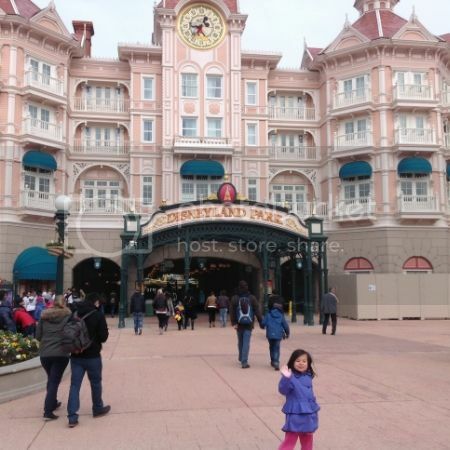 Now 20 years later, that new park on the block, which has been renamed "Disneyland Paris" (why, oh why, didn't I save my Euro Disney t-shirt? I'm sure it's worth thousands to collectors!) is celebrating its 20th Anniversary. Since we just happened to be in the neighborhood, we decided to swing by and see how it has changed since my last visit. Well, of course the biggest change was coming with Kam and Mag. 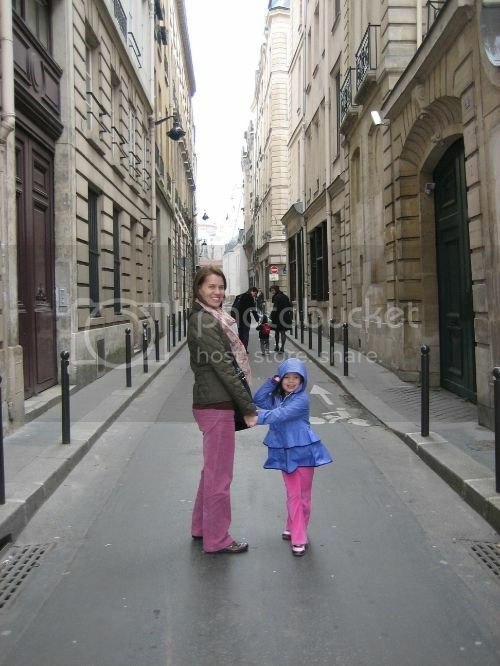 We had decided to surprise Mag with this day trip, so she wouldn't be distracted by anticipation and miss the rest of Paris. 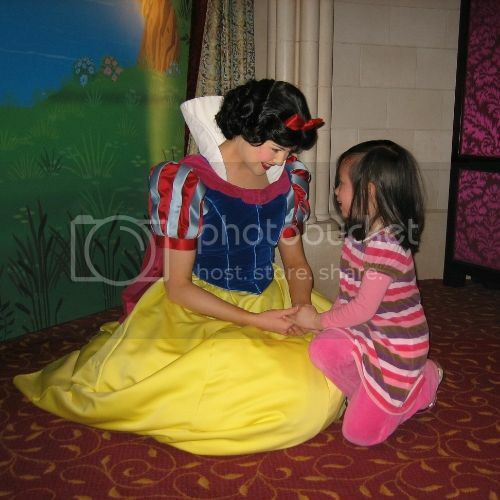 Her look of surprise was only the beginning of many magical moments throughout the day. But, as with much of this trip, there is no use spending keystrokes to tell a story much better imparted through pictures. Here are some of today's highlights. 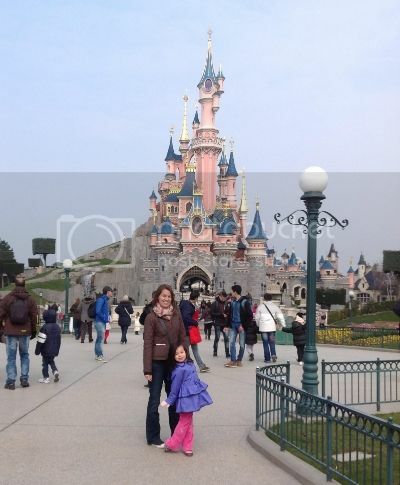 Lest you think we won the Lotto, or that my TpT sales broke new records allowing us to take this expensive day trip, I should tell you that EuroDisney, er, Disneyland Paris, can be significantly more affordable than its American counterparts. You just have to know where to look. "Francebillet," France's answer to our "ticketmaster," offers great deals, scoring us tickets close to half-off! Doing it inexpensively makes a day in the parks even more enjoyable... and allows you to leave early without guilt when you just can't take another moment of the frigid French spring weather! 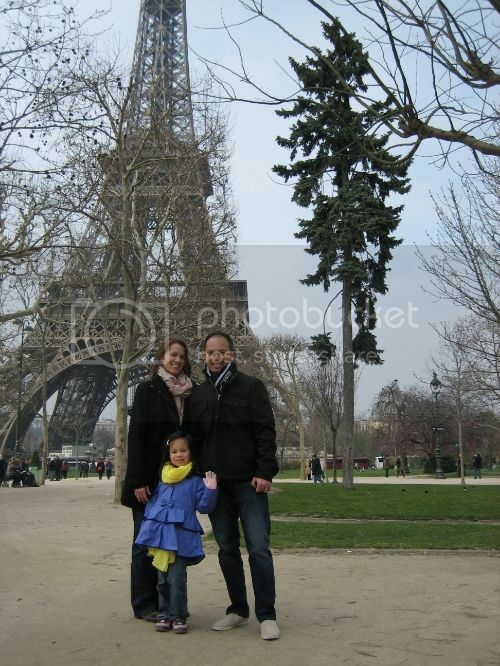 And now, as we begin Day Quatre (four), we're off to la Tour Eiffel. À toute à l'heure! Such a very long walk merits a worthy treat! After exploring rue Mouffetard, a market area in the 5th, for the morning, another surreal playground break presented itself for Mag. My Midwestern expectations will always be amazed at finding modern playground equipment set against medieval backdrops. Not sure if Mag notices that, but I'm sure she'll remember the fun she had playing with des amis francais (French friends). When the chill of a spring day in Paris got too unbearable, we ducked into a neighborhood library and explored the children's section while we warmed up. Sort of a random way to mix with the locals, and get a feel for the community. Below you'll see that Kam has been enjoying the challenge of the new language enough that he actually "read" some French books to Mag, which was fun to see... and to listen to! Following lunch in a typical brasserie, and a short metro ride, we were back in the 1st, having scrapped the plans for the13th and 14th. This unexpected re-route allowed us the time for a visit to Sainte-Chapelle, which I believe we would otherwise have missed. "Wow!" Is there anything else one can say upon entering Ste-Chapelle? 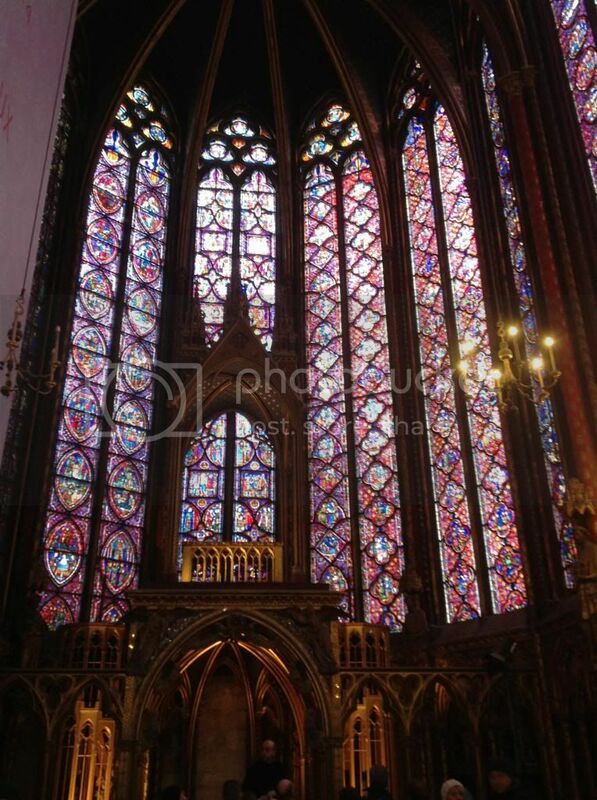 There truly are no words, in French or English, to express the sentiment that accompanies the first sight of the 15 stained glass windows of the Upper Chapel of Ste-Chapelle. While the three of us weren't terribly wowed by Notre Dame (I may have just visited far too many churches in far too many cities to be objective anymore), none of us wanted to leave Ste-Chapelle today. If we hadn't so desperately needed to get back outside into the warmth of the sun (warmth being a relative term! ), we would probably still be there now. But now, once again it is time to faire dodo (sleep), as we have some BIG plans for tomorrow! 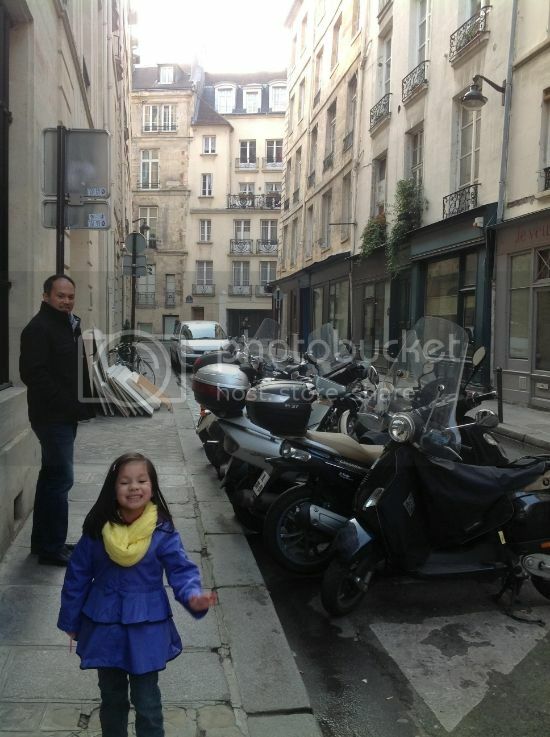 After a relatively uneventful Notre Dame visit, Mag found her two favorite places in the city. 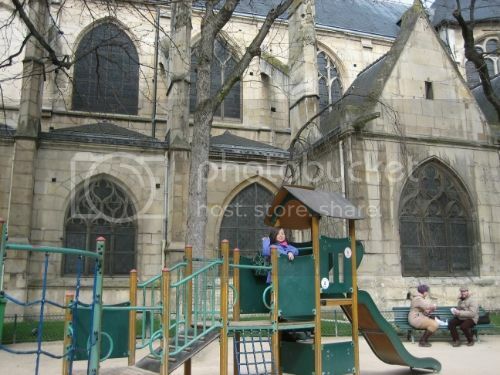 First, in search of some sunshine to escape the morning chill, we found ourselves in a nice little park/plaground that wraps around the back and Seine-side of the cathedral. Mag jumped right in and did her best to be one of the neighborhood enfants (kids); one little guy even announced "nous perdons un member de notre equipe," (we're losing a member of our team!) 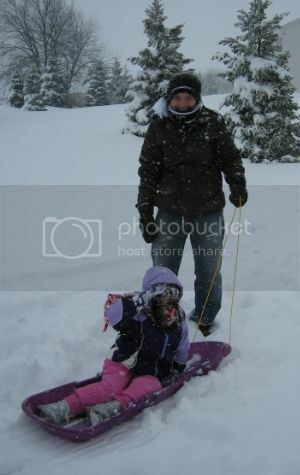 when we had to drag Mag away. 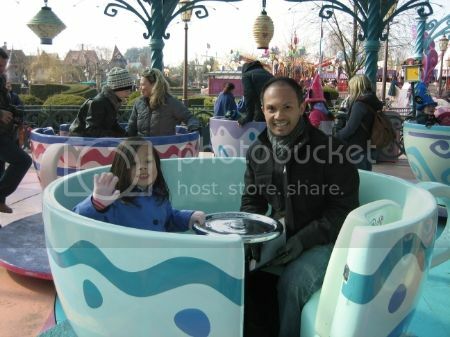 Mag's close runner-up for favorite was, of course, a carousel. 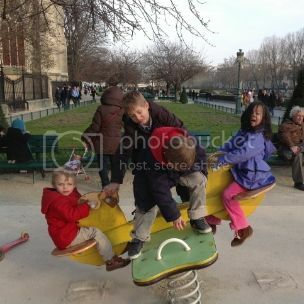 Surprisingly (to me, at least), carousels can be found sprinkled around the city on many random neighborhood plazas. 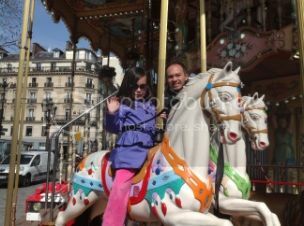 Thanks to our incessant reading of "Ollie and Moon," Mag has been looking forward to a Parisian carousel ride for some time! 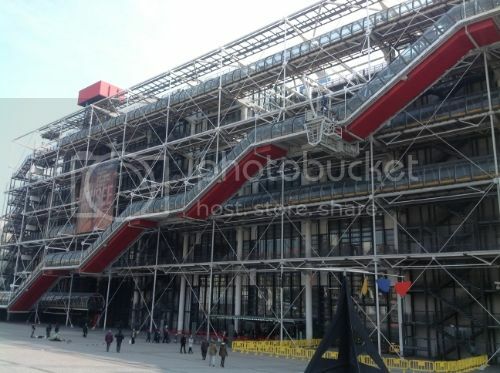 Of course, le Centre Pompidou was also a thrill for me, as it is one of the few things on our itinerary for the week that I have not seen in previous visits. 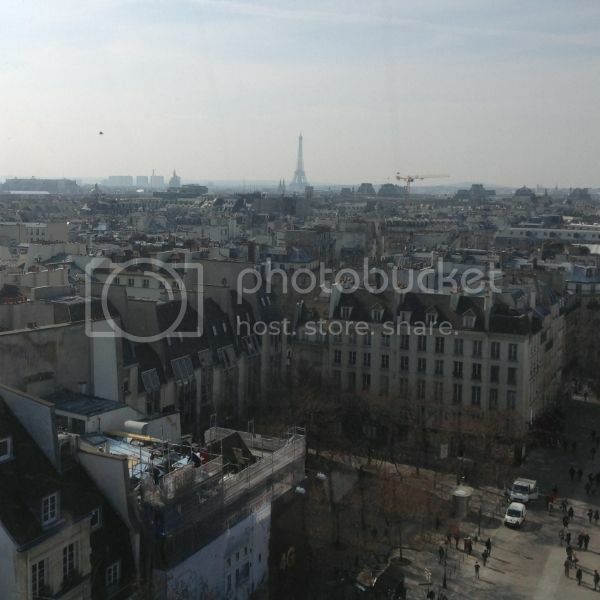 The surprise view of the Eiffel Tour from the "Vue de Paris" ascent of the glass-tubed escalators (costing only 3 Euros!) was one of those surreal moments in life. 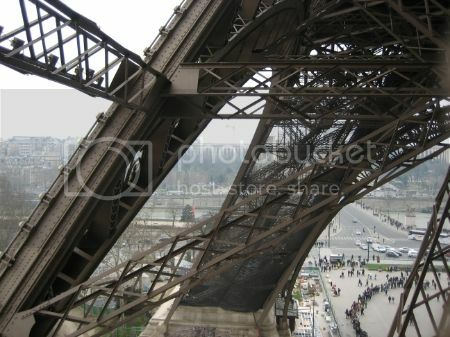 A quick glance over the shoulder to find you've unexpectedly run into the Eiffel Tower? It just doesn't get much better than that! I had planned to include Kam's faves in today's highlighs list, but he fell asleep before I could ask him for his top pics. (It was a long overnight flight to Stockholm, our gateway city to the Shengen countries. We're still trying to recover.) On that note, I best faire dodo (sleep), too, and be ready for whatever tomorrow holds. At first glance at a map of Paris, you might feel like you're looking at the scribbling a of a toddler. The streets are a mess of intertwining, winding lines everywhere, often seemingly leading nowhere. You will see none of those nice, orderly grids of NYC and other major North American metropolises. Nope. Just generations of urban development from centuries before urban planning. How to get your bearings and navigate in such a antiquated, albeit breathtaking, labyrinth? Once you discard your North American notion that streets should run north/south or east/west, and that blocks should be somewhat uniform in spread, you are free to embrace the genius of the arrondissements. Technincally, arrondissements are administrative districts, each with its own mayor. 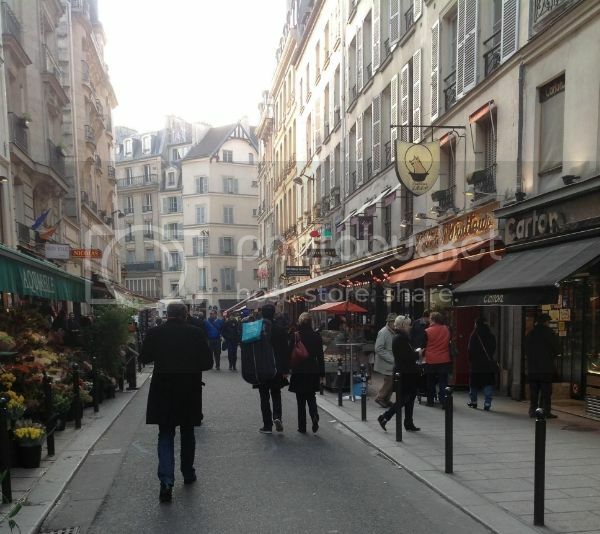 We foreigners tend to think of an arrondissement as a group of neighborhoods, and each arrondissement is further divided into 4 smaller neighborhoods, or "quartiers" (similar to New Orleans' French Quarter). Take a second glance at a map of Paris, and suddenly it appears perfectly organized. 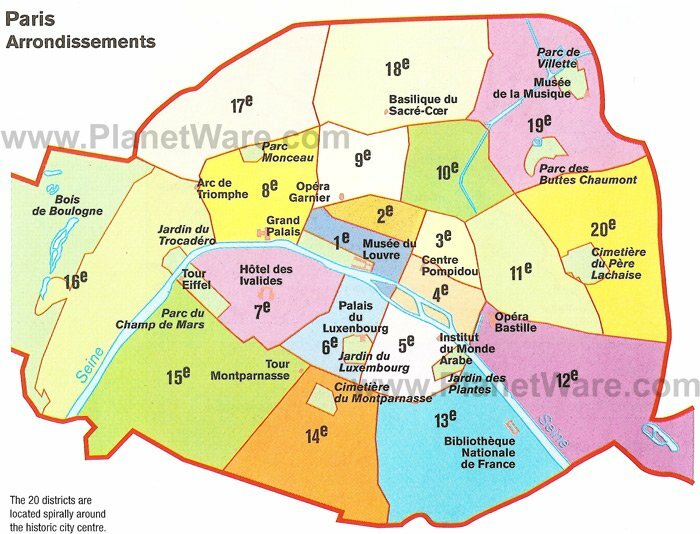 The 20 arrondissements form a clockwise spiral around the very center of Paris. 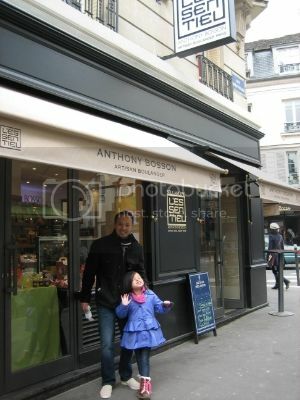 That first arrondissement is called... what else, but the First Arrondissement, or "le premier arrondissement." From there, it continues in a fairly obvious fashion. 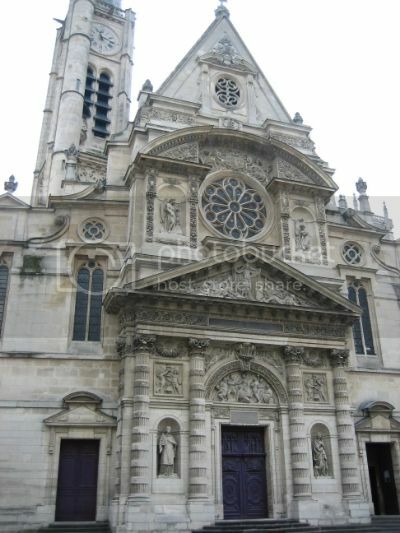 We have used the concept of the arrondissements extensively in our trip planning. From choosing where to stay (as each arrondissement has its own character, and often a corresponding name), to deciding which sites can be visited in the same day, arrondissement awareness is as essential as an 112-page map for any stay in Paris. After something like 15 years since my last visit, I finally find myself in Paris again. Like each of my springtime visits, once again, it is unseasonably gloomy and chilly. I'm beginning to think there's nothing "unseasonable" about this weather at all. But hey, it's Paris, so ça ne fait rien! I will be sharing some pics of the City of Light* over the next week. 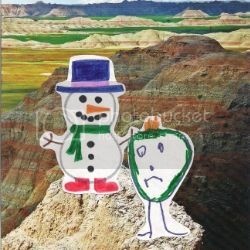 But for this, our first day, I thought I'd link to a fun, FREE printable that Mag enjoyed on the plane ride here. 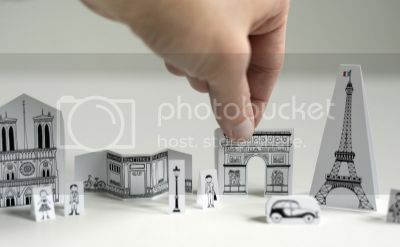 Check out this adorable miniature paper Paris, courtesy of Made by Joel. 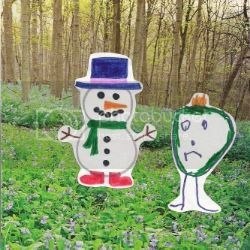 Such a cute little activity for kids... but there's also a larger version if you just have to have one for yourself, too! * Did you know that Paris is "the City of Light" - not Lights? Paris was nicknamed the "City of Light" originally because it was a vast center of education and ideas during the Age of Enlightenment. In 1828, Paris began lighting the Champs-Elysées with gas lamps. It was the first city in Europe to do so, and so earned the nickname "La Ville-Lumière" or The City of Light. Ça ne fait rien (French) = It doesn't matter. Faire dodo (French) = baby-talk slang for "sleep," similar to "going night-night"
A bientôt (French) = See you soon. Only one of my sojourns in Paris - and the shortest of my visits - has been as a tourist, the others having been as a resident of the country, a holder of the beloved "carte de séjour." Because I have generally been remaining in the nation when leaving its premier city, I have never occupied myself with amassing tokens of my visit. Suddenly, however, with this trip, I feel obsessed with accumulating as much memorabilia as possible, just in case this many years pass again before my next visit. What have been your favorite souvenirs to bring home from France? Leave me your great finds in the comments! It will be fun to see which we can find! la Semaine Sainte à Paris, and a FREEBIE! We are furiously getting ready for an upcoming trip to Europe, which will include both a stay in Paris during Holy Week, and spending Easter week in Germany. Being abroad during the pinnacle of Church year will be an exciting opportunity to experience the mingling of foreign culture and religion. If a trip abroad is in your near future, perhaps you can make use of these multilingual prayer sheets. No need to wait for a trip abroad, though. Any time is a good time to learn a new language. And to pray! The Lord's Prayer in French, Spanish, and German! 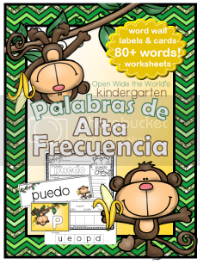 To download this FREE resource, head to my store at TpT. What is TpT? How much do I love it? Why should you join? 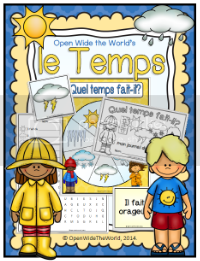 Read all about TpT and its 80,000+ free resources here! 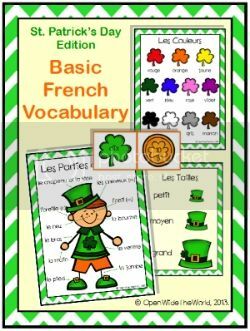 Je vous présente: Educents, and a FREE $15 Gift Card! A little off my usual topic of passion for the world, its languages and food, etc, but keeping in line with our love of learning... have you heard about Educents? Brie at Breezy Special Ed tipped me off to this new daily deals site, featuring educational products. Actually, "new" isn't the correct term, as Educents hasn't even launched yet. It will make its debut on April 2... but if you register now, you'll get a code for a free $15 Educents gift card! That's free money!!! To spend on teaching products!!! You've just gotta love it! Race on over to register, as they'll be offering a few give-aways to early registrants. Yippee! Then let's compare notes on April 2, and see what great deals we score! In honor of St. Patrick's Day, I thought it would be fun to check out some signs of good fortune from around the world. In Germany, touching a chimney sweep's brush is considered good luck. I wonder what the chances are of seeing any chimney sweeps when we're in Germany this spring? In Italy, among other places, a bird pooping on you is good luck. I actually had that happen to me in Italy... not so lucky, though, since I was waiting for an overnight train when it happened, and wouldn't get to shower for close to 24 hours. There's only so clean hair can get in a train station restroom. Yuck! In England, brides consider it good luck to find a spider in their wedding dress. There are also about a buzzillion statues around the world whose toes, noses, tummies, or -ahem- other parts, get rubbed for good luck. Have you stumbled across any good luck signs, statues, or traditions in your travels? These luck symbols are an excerpt from National Geographic Kids Magazine, pg. 12, March 2013. 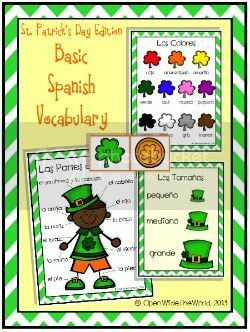 Multi-Lingual Shamrock Coloring Sheet FREEBIE! Get them practicing their second language while doing something they enjoy! To download these FREE coloring pages, head to my store at TpT. Did you enjoy this activity? 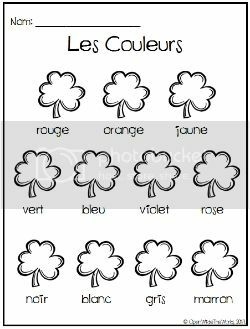 These coloring pages are part of my larger foreign language practice packets in a St. Patrick's Day theme, available at TpT. 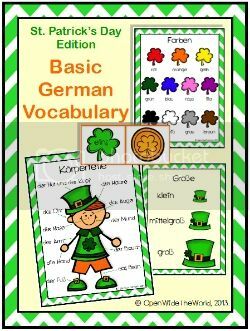 These 15-page packets include practice in the basic vocabulary of: colors, numbers (0-10), sizes, and parts of the body. Available in French, Spanish, and German. When I think about the thrill of getting to know new cultures, I am generally envisioning travels to far off, exciting destinations. The kinds of places you see in movies, or maybe read about, and just long to experience yourself one day. 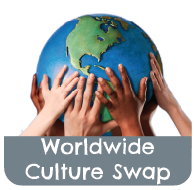 This week, I realized that sometimes the thrill of culture shock can be right outside your own front door! And we have loved every minute of it! Anyone else enjoying this winter weather? In between travels, one of our favorite ways to explore the world is through books. If the book is von der Bibliothek, all the better! A current house fave, from our local library, is Random House's Ollie and Moon, by Diane Kredensor and Sandra Kress. When Kredensor and Kress team up their talents, quite a unique style ensues! Kredensor superimposes her adorable stylized characters atop Kress's photographs of Paris. They add some French words and landmarks, a cute and simple plot, et voilà! A lively romp around the City of Light, without even getting off the couch! After reading the book trente-six fois, and watching the cute video a couple more times, we just had to make an activity out of Ollie and Moon. Thanks to Kredensor and Kress's inspiration, only a craft would suffice for this project! Don't panic: it's an easy one. Got 'em? 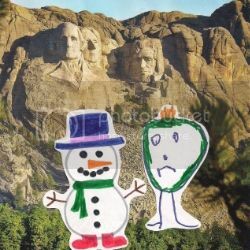 Okay, now have students draw some fun characters, cut them out, and superimpose them onto pictures from the magazines and calendars. Have them tell a story as they present their chef-d'oeuvre to the class. You can go as big or as simple with this as time and imagination allow. Around here... well, let's just say Mag wasn't feeling the cutting/drawing so much, but she knocked the story-telling out of the park. Here are some of the scenes that our characters, Snowy der Scheeman and Kingy King, visited while we narrated. Et vous? Any favorite "destination" children's books? Do share! trente-six fois (French) = literally "36 times," a French expression for "many times"
Etes-vous prêtes? (French) = Are you ready? Et vous? (French) = And you? 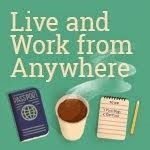 This post will be linked up to "Tell Me a Tale Tuesday" at Keeping Life Creative. Mag loves to play Hotter/Colder. You know, the game where you give clues as to how close a child is to a hidden object by saying "hotter" or "colder" or "on fire," etc? Mag loves it! She could play that all day long... if only I would. Well, now thanks to inspiration from a blogging teacher, I can easily eek out a few more rounds of Hotter/Colder, just by adding in one element that I love: foreign language learning. Hide something. The child looks for it. 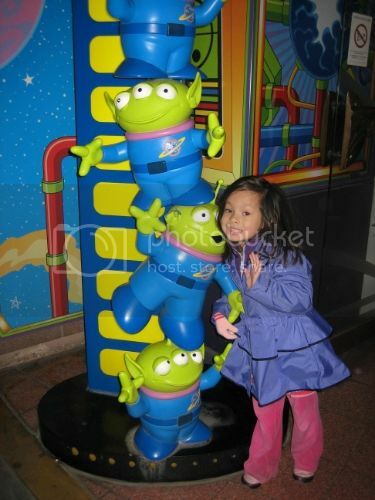 As the child gets closer to the object, sing louder and faster. As he/she moves away, sing more slowly and quietly. Next round, switch up and let the child do the hiding and singing. Now while Mag is searching, she's absorbing the German alphabet pronunciation. And while I'm searching, she's practicing reciting the German alphabet. WUNDERBAR! To hear the German alphabet recited, click here below. Et vous? Any game adaptations for injecting foreign language into play?